I was a Cemetery Girl. This was before goth was a thing. As a child, my best friend and I use to wander the local graveyards exploring and reading the gravestones. It was peaceful. It was quiet. It was a pleasant way to spend a coolish Fall afternoon. It was usually Fall when you would find us in the graveyard. Leaves would be falling and the world’s axis was spinning into winter and long, cold days of nothing to do. Fall is my favourite season. It is cool. School is starting. There is a quietness in the air. Halloween is just around the corner. 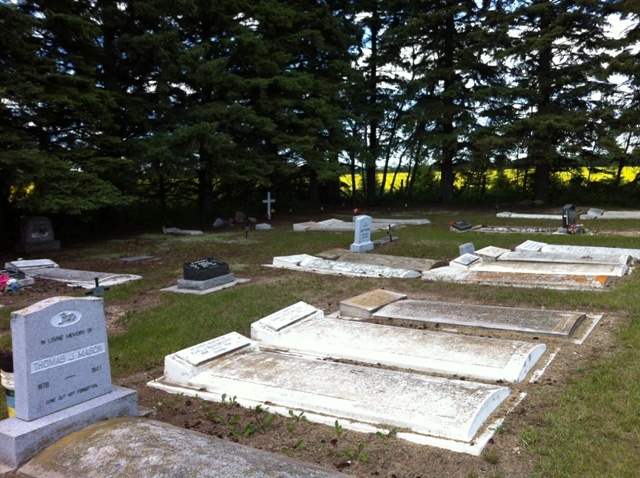 Most of the cemeteries we haunted were country cemeteries; the closet one was a block outside of town. The other one we visited regularly was a mile out. We hardly ever saw anyone else there. It seemed a shame. There was so much beauty and peacefulness there and everyone else was missing it. I still haunt graveyards. 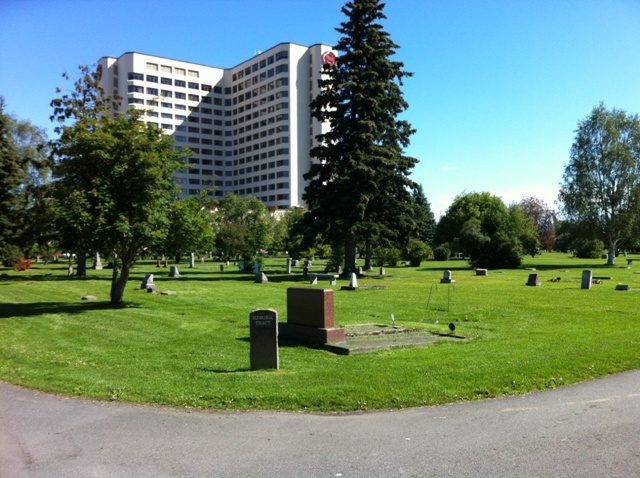 I’ve taken pictures of cemeteries all over Saskatchewan, in Scotland and recently in Anchorage, Alaska. I’m always going to regret not being able to get to explore the historical cemetery at Skagway. Death intrigues me. No, how we process death intrigues me. No, the history sitting around in graveyards entrances me. I am an explorer of the past. I like to explore what use to be. I also wonder about what is beyond – beyond the shadows, beyond death. What is the next step? Knowing the plan calms me. I like to know the steps, what to do, what ie expected of me at each turn. Don’t surprise me. I hate surprises! 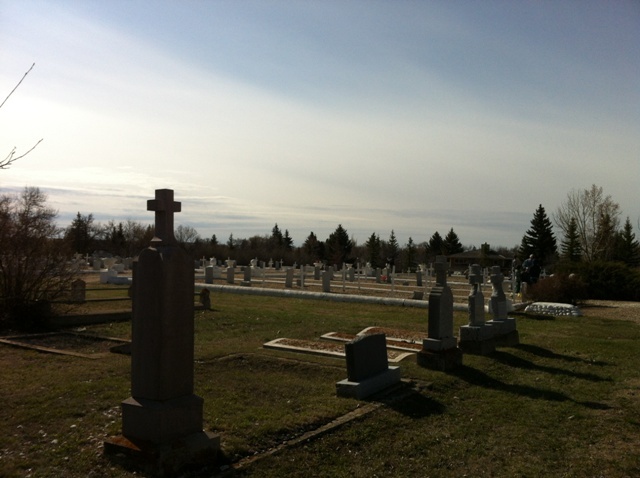 I delight in exploring cemeteries and graveyards. Did you know the two terms are not interchangeable? A cemetery is an area set apart for or containing graves, tombs, or funeral urns, especially one that is not a churchyard. A graveyard is a burial ground, associated with or beside a church. I also delight in reading books about the death industry. I enjoyed the television series Six Feet Under and always wanted to live in a large, Victorian funeral home. The latest funeral industry book I bought is Caitlin Doughty’s book Smoke Gets in Your Eyes. Caitlin oversees the blog The Order of the Good Death that I regularly read and has a series of videos about death and the way we (as a society) deal with it. Scroll down this page for the book video. I am a cemetery girl. I haunt graveyards. Death is my familiar. I fear not.